Not for use in eye area. 2% phloretin neutralizes free radicals, accelerates cell turnover and reduces the production of unwanted pigment. 10% L-ascorbic acid neutralizes free radicals and promotes collagen synthesis. 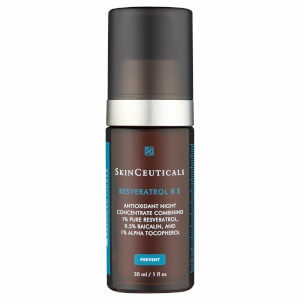 0.5% ferulic acid neutralizes free radicals, inhibits UV-induced melanogenesis, and has anti-inflammatory properties. Was turned onto this product by a dermatologist that swears by it. Wanted to love it, but started to notice that my skin was getting itchy and swollen every time I used it. Kept taking a break and then trying it again. Have finally determined that my skin just can't tolerate it. As we speak, my eyes are almost swollen shut from this product (and I didn't even put it around my eyes - it just swells my entire face!!) Did some research and it seems that this has happened to others. I do have a friend who uses it and loves it, so I guess the message is to get a sample and try it before you invest in a full bottle. It's expensive and can be damaging to some people's skin! I have used this product before and like it very much. However, in this latest shipment, the product arrived oxidized....this tells me that it was old. When I called customer service, they were uncaring and not helpful. My esthetician gave me a sample of this which I used for 2-3 weeks. Combined with the other skinceutical products I started using the overall appearance of my skin looked amazing! Once this ran out I continued to use the other products and my skin had still improved but it did not glow like it did with this treatment!! It's expensive but one of those products that I will keep buying. I love the healthy but not greasy glow it gave my skin and I loved how it gave immediate results ! I am 36 yrs, white female with hyperpigmentation on forehead and cheeks. I have been using this product off and on for 2+ years. I first learned of it via my dermatologist, who suggested I try it for hyperpigmentation. It certainly did the trick and even more than I could have ever expected! When used daily, it evens out your skin tone, exfoliates, and makes the skin feel tighter. Sticker shock?! Yes, it's expensive, but it's totally worth every penny! Some time ago, when I ran out of product I neglected to buy more. Weeks turned into months and I went without my daily use of Phloretin CF. Eventually, my skin started to look tired, dry, and dull. Even my makeup (and *brightening* bronzer) could not cover up my shabby, tired looking skin. When I finally re-stocked after an 8 month hiatus, I noticed an immediate change in my skin after only several days. After 2 weeks of use, my skin was bright, shiny, and tight. For me, this product is like microdermabrasion in a bottle!!!! It is not quite as wonderful as an actual spa type microdermabrasion, but it is darn close! This works for me.My complexion is dark.Apply lightly so it doesn't go on sticky. I tried to use this six times, and every time my face reacted in the same way: extreme itchiness, and burning sensation combined with every single zit on my face being irritated. I struggled with this for the first couple of times, applied moisturizer and really tried to like this product, but it is just terrible. I simply cannot understand the hype about this product and fur such a crazy price!!! It was so bad, that even in the evening, when i was cleansing my face, despite not wearing any makeup all day on numerous occasions (working from home!) my cotton pad was all orange from the residue of this serum (which has a brownish-burgundy color). My face felt horrible each time i attempted to use this. my neck felt the worst. it was so itchy that i had to use cortisone cream. Absolutely terrible!!! I've been using this product for about a year now in tandem with the skin ceutical's hydrating serum. My skin not only looks better to my eyes but I've had several comments on how beautiful my skin is! Well, that never happened before! My younger sister noticed it immediately after not having seen her in a while and she was determined to go home and order it! Yes, really expensive but believe me, it does work! i am 60+ and still dealing with breakouts. I have been using Phloretin CF and the skinceuticals LHA toner for about 3 or 4 months and there is a big improvement in my skin. I don't know if my wrinkles have diminished that much, some of them have been there for quite a while, but the texture of my skin is so much better, my pores do not seem as large and the areas of my face where my pores always seemed congested is very much improved. My breakouts are very much less frequent and more isolated. I have tried all types of prescription therapy and different brands of products and right now using these 2 products from skinceuticals and I wash with Josie Marin cleansing oil, seems to be doing the trick. 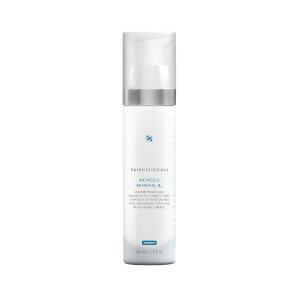 I tried the Skinceutical hydrating B5 gel but it just seemed like another product that I was using that didn't really make a difference. I use Josie Maran primer and sometimes Argon oil if my skin seems exceptionally dry. I hardly ever use foundation because my skin just looks so much better and I think foundation on older skin emphasizes your lines and wrinkles or looks like a mask. If I do use a foundation I use Josie Maran foundation and just brush on a light covering. Using the Josie Maran products helped my skin be less oily and the skinceuticals antioxidants seem to be helping with all the past and present damage to my skin from sun etc. I also try and use a peel or exfoliant every 7 to 10 days. Either Dr Sebagh exfoliant or Philosophy micro delivery peel. Some of these products to me are expensive but most last a very long time. I am trying to figure out just how long a bottle of Phloretin CF lasts so I can save money and use the automatic delivery for those products.Anyway, my skin looks better than it has looked in decades which at my age is amazing to me. I bought this to try something different from the Strivectin overnight serum, which I absolutley loved too! Ladies, this stuff works great! I put it on at night and when I wake up my skin is glowing rosy!!! It is a bit smelly thats why I like to use it only at night but for the money it is worth every penny. 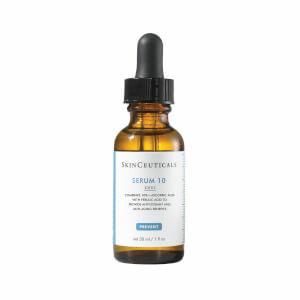 I have been using a skin ceutical serum along with a good moisturizer and sunscreen on a daily basis since my late 20s. I can honestly say that my skin (at age 35) is glorious and definitely rivals that of many girls in their late 20s. I must admit that I use a slew of other products both during the day on top of my SC serum as well as in the evening, but I will never stop my daily use of a SC serum.I initially started with the CE Ferulic, but as soon as Phloretin CF came out, I switched over. Until now, I thought that the only difference between the two was the addition of the Phloretin component in Phloretin CF, but it turns out that Phloretin CF has less vitamin C, no vitamin E, and a bit of alcohol to assist the antioxidants in permeating the skin. As such, Phloretin CF can be quite drying and is prescribed for oily problematic skin. For the last few years, I have definitely noticed my skin to be on the dry side, but I always attributed that to retinol products and/or general ageing. 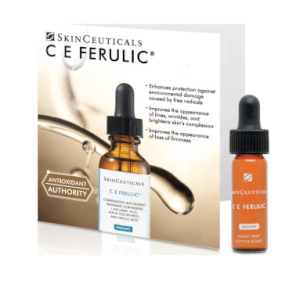 I'm actually wondering if I should now switch back to CE Ferulic. Phloretin, though, seems to have a lot of good benefits, and I can always get vitamin E from other face creams.